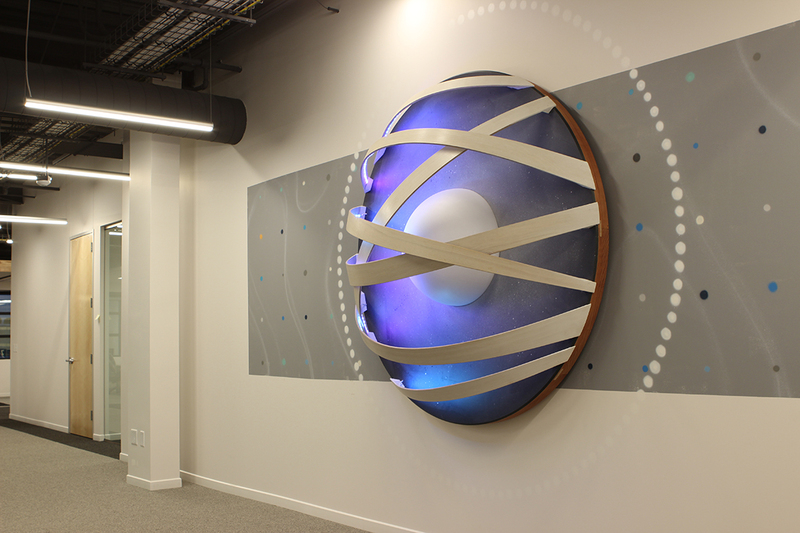 Fully custom sculpture and site-specific installation for the new offices of LinkedIn in Omaha, NE. At the core, LinkedIn provides a professional networking platform that focuses on bringing connectivity and productivity in the modern working world. In the same manner, this sculpture reflects these same ideals — the center symbolizing the ethos of the company itself, while the surrounding bands of wood collectively forming a larger network. 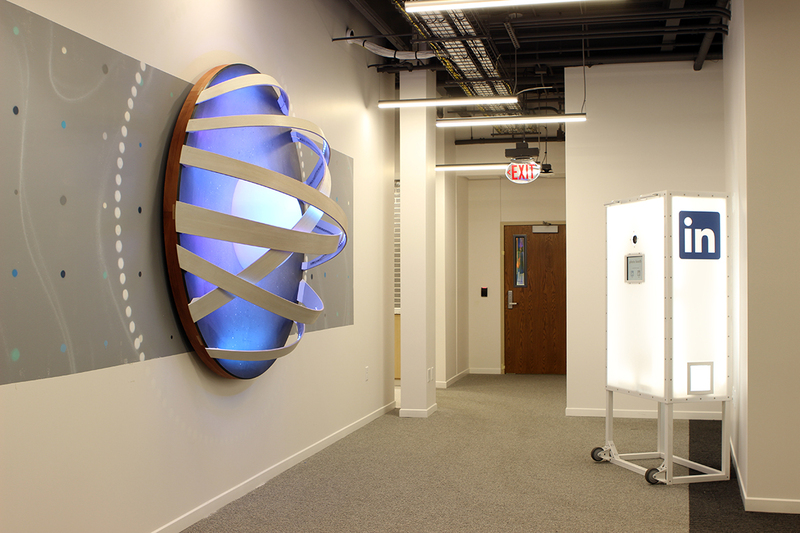 Each of the four lighting sequences provide visual cues directly inspired by both connectivity and productivity with individual lights and colors referencing a community of people interacting through the online platform. 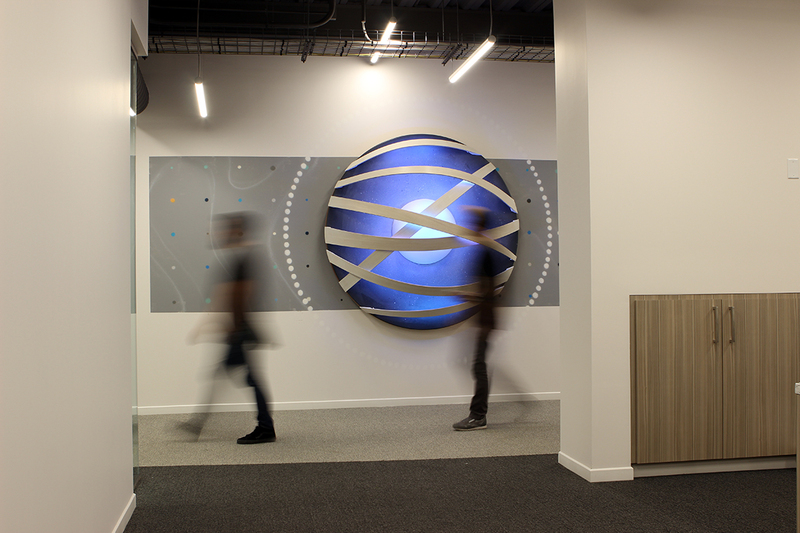 Two additional sequences include a pulse of light radiating from the center out symbolizing the heart beat and commitment to growth of a successful business while a repeating eclipse expresses how LinkedIn is shifting the working landscape.